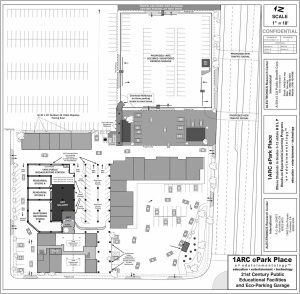 1ARC ePark Place is the first-of-its-kind, innovative, 21st Century, public use educational facility that blends edutainmentology™ (education, entertainment and technology) + STEAM (Science, Technology, Engineering, Arts and Mathematics) = eSTEAM. This proposed eSTEAM facility provides the ideal landscape for under-served students in Grades K-12. We will offer after-school HELP (Hands-on Experiential Learning Programs) for students desiring to expand in Visual And Performing Arts – VAPA, a California state framework, coupled with our development of Kidcentric Curricula®, gives students a very unique educational experience. 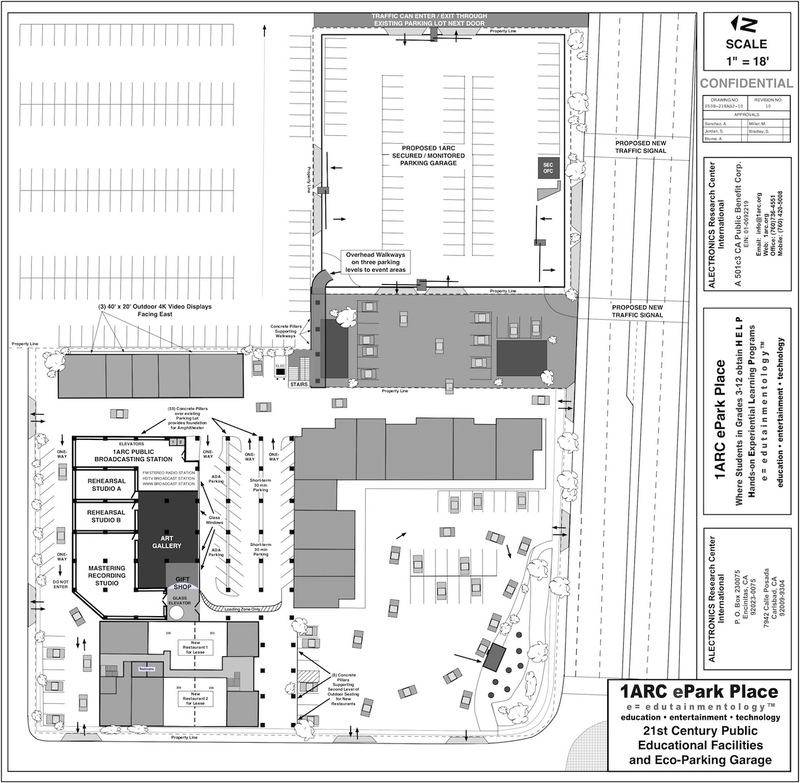 The proposed 1ARC ePark Place is planned for construction in North County San Diego, minutes from State Highway 78. The nearest cities are Oceanside, Carlsbad, Vista, San Marcos and Escondido. There are approximately 48,000 students in these cities, and over 125,000 students within 30 minutes from the planned location.